Dr. Richard Alley (PhD 1987, Geology, Wisconsin) is Evan Pugh University Professor of Geosciences at Penn State. 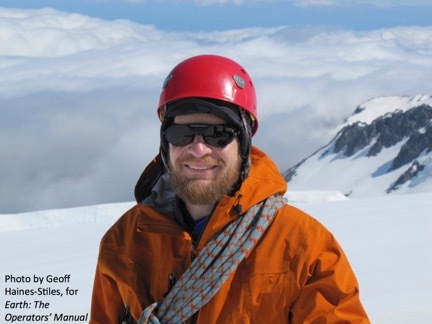 He studies the great ice sheets to help predict future changes in climate and sea level, and has conducted three field seasons in Antarctica, eight in Greenland, and three in Alaska. He has been honored for research (including election to the US National Academy of Sciences and Foreign Membership in the Royal Society), teaching, and service. Dr. Alley participated in the UN Intergovernmental Panel on Climate Change (co-recipient of the 2007 Nobel Peace Prize), and has provided requested advice to numerous government officials in multiple administrations including a US Vice President, the President’s Science Advisor in multiple administrations, and committees and individual members of the US Senate and House of Representatives. He has authored or coauthored over 290 refereed scientific papers. He was presenter for the PBS TV miniseries on climate and energy Earth: The Operators’ Manual, and author of the book. His popular account of climate change and ice cores, The Two-Mile Time Machine, was Phi Beta Kappa’s science book of the year. Dr. Alley is happily married with two grown daughters, two stay-at-home cats, a bicycle, and a pair of soccer cleats.